The 30VX-3, a 7,075 lb. 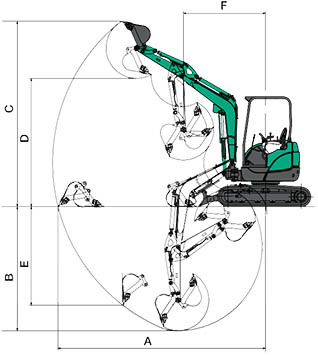 mini excavator produces higher performance and quality while maintaining a comfortable working environment. 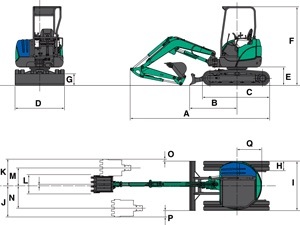 Standard features for the 30VX-3 include a 4-post canopy, dozer blade, rubber tracks, auxiliary hydraulic piping, and A-F quick change valve. With the newly redesigned pedal-less cockpit and suspension seat as standard equipment, along with hand fitted short joystick levers, the 30VX-3 is a comfortable yet powerful zero-tail swing mini excavator.